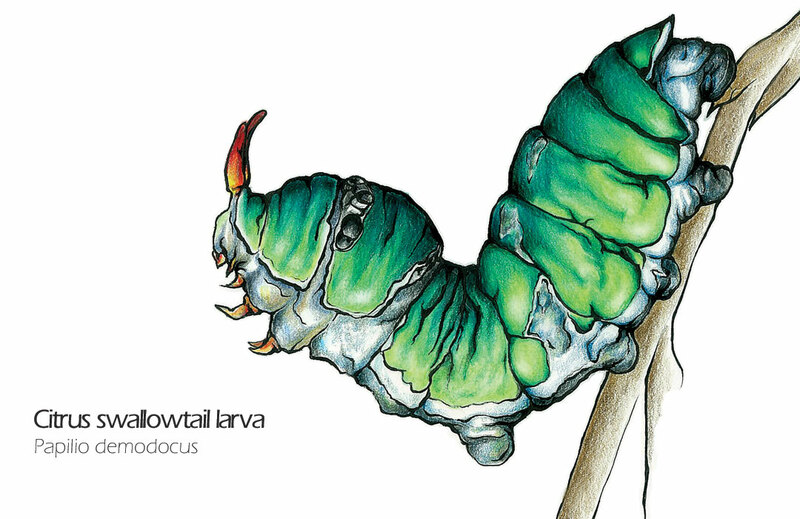 This illustration of a pretty fat caterpillar shows the mature larva of the citrus swallowtail butterfly. The immature larva actually looks like bird droppings... In this citrus swallowtail artwork, the red stuff on the head is an organ that produces a bad smell that is supposed to freak out birds. Animal drawing art description: Fine art drawing scientific illustration of a citrus swallowtail larva. Colored pencils and ink drawing by Madeleine Dubé. 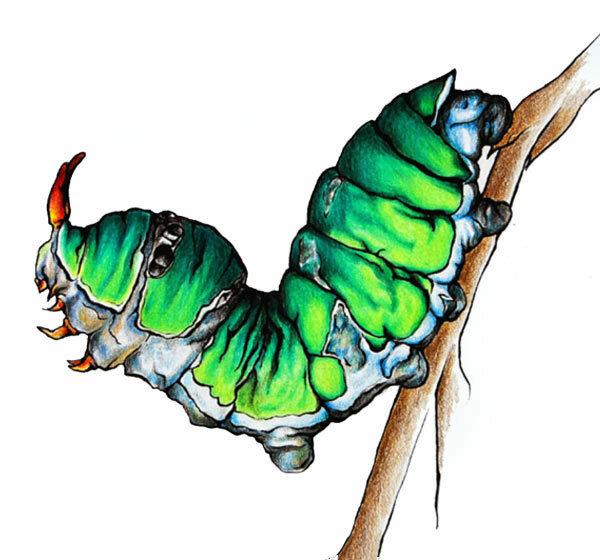 Citrus swallowtail butterfly caterpillar drawing artwork available for sale as greeting cards, postcards and high quality giclée print reproductions (8"x10" and 11"x14"). Citrus swallowtail butterfly caterpillar animal image available for licensing. Ideal for commercial uses such as print, packaging or advertising. For information contact me by email or by phone: 1-514-770-0705.